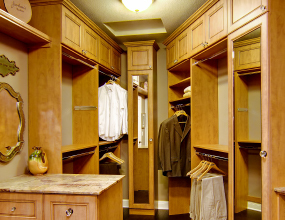 Will a Custom Closet System Increase Your Home’s Resale Value? 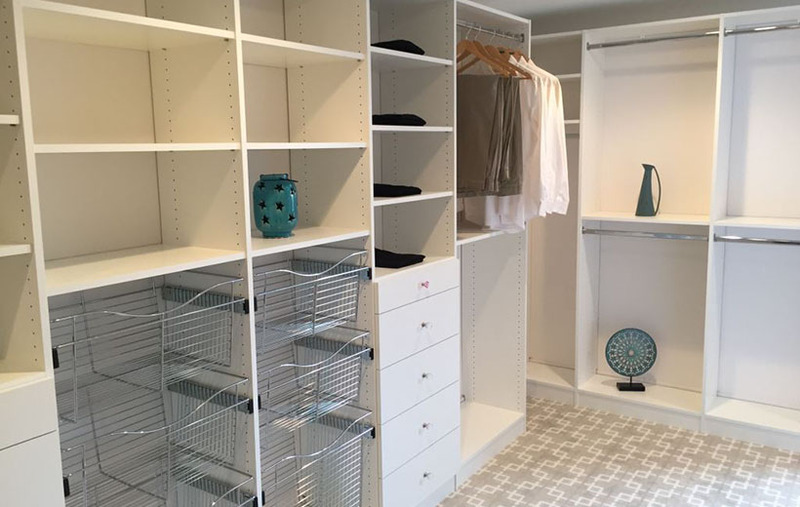 We recently re-connected with a client of ours for whom we designed and installed a custom walk-in closet system. 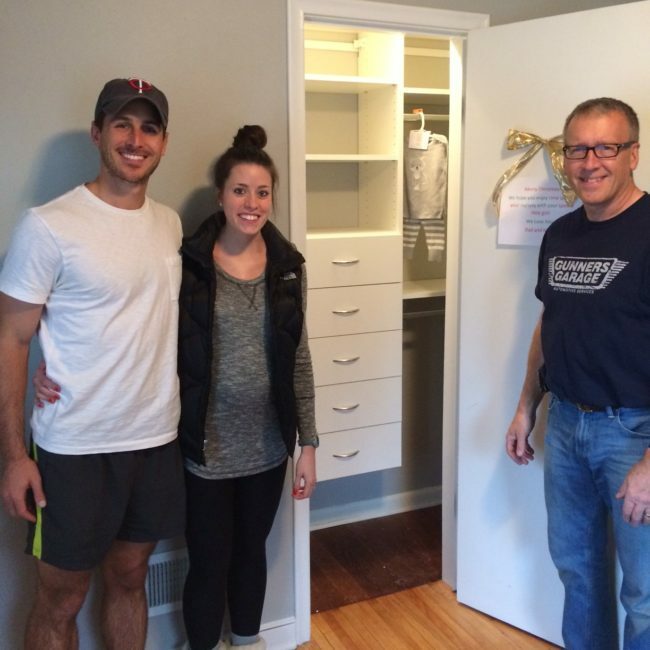 He had recently put his home on the market and he commented to us that the walk-in closet had been one of the big selling points of the home. Questions about the return on investment of a custom closet are something we hear often. 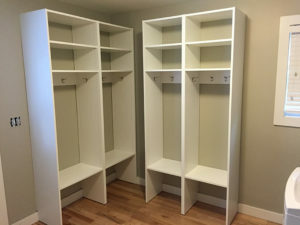 The short answer is that your investment in a quality custom closet system will have a positive impact on the resale value of your home, in terms of both the perceived value of your home and the actual selling cost. Purchasers will pay more for a home with more storage and the sense of more space. 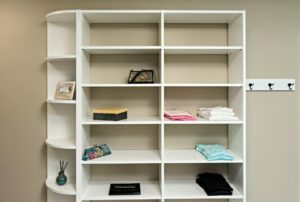 The long answer is that the amount you recoup from your investment custom closet organization will vary depending on several factors. 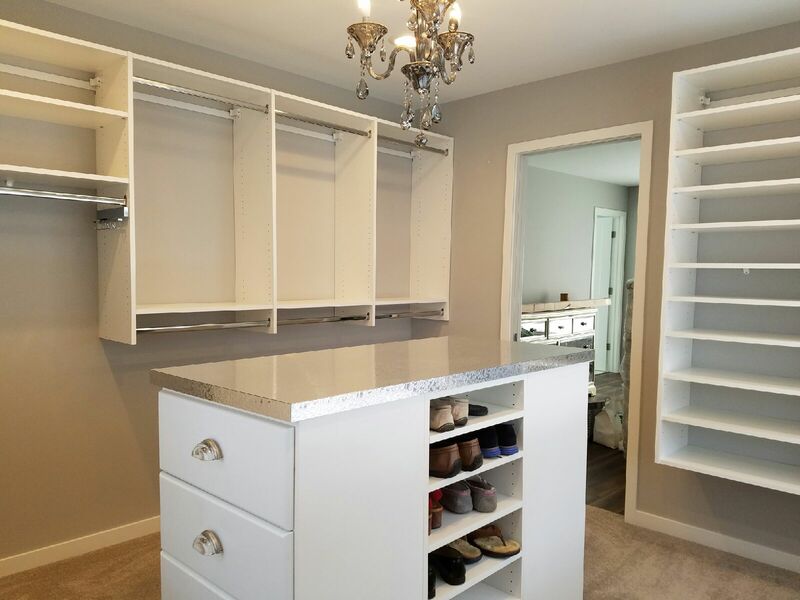 According to 2017 Remodeling Impact Report by Qualified Remodeler magazine, the average ROI on a custom closet project is 53%, with the average project cost being $3,750. 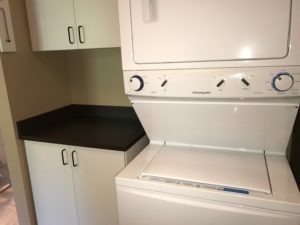 Both the cost and the return can vary depending on the size of your closet, the features and what extras you incorporate such as a closet island, pull out drawers and hampers, etc. In addition, according to this Forbes article on 13 Surprising Extras That Add Value to Homes, the extra bump provided by a customized closet system can help your home sell faster in a competitive market. 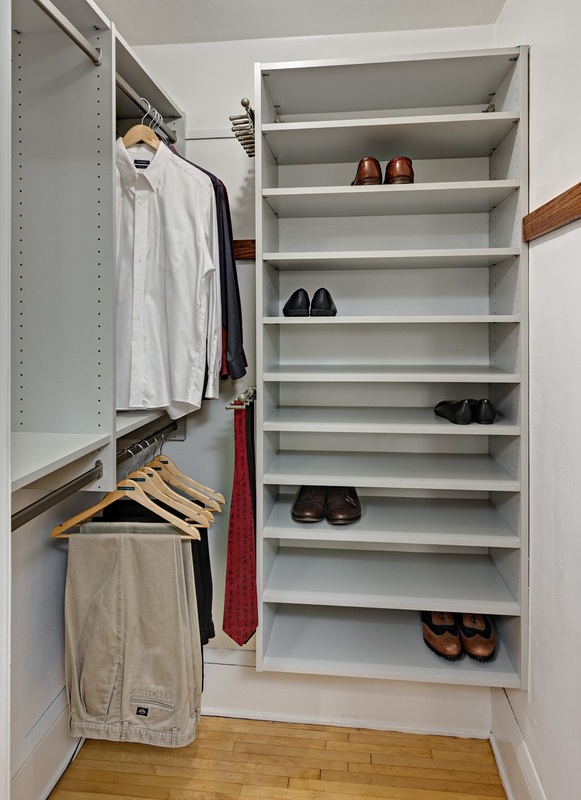 The added storage in a walk-in closet conveys a feeling of ample space and is considered a highly desirable trait (see this USA Today article on the 11 Home Features Buyers Will Pay Extra For). 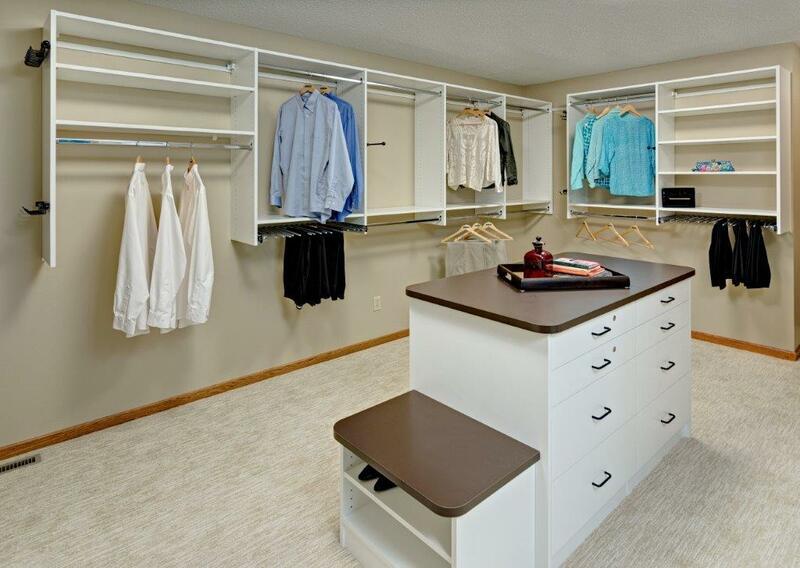 As an added bonus, a clean and well-organized closet gives the impression that the owners take great pride in and proper care of their home. 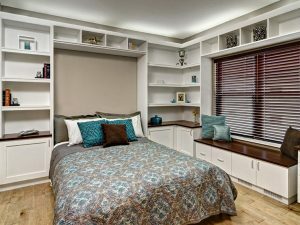 Finally, beyond all these resale related reasons, you simply can’t discount the value of organization and enjoyment you will get from adding custom storage to your bedroom closet. 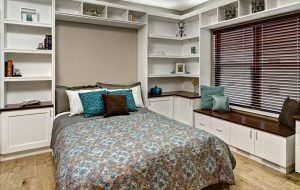 You may have heard the advice that you shouldn’t convert a bedroom into a walk-in closet (since it decreases your total number of bedrooms). However, in the right conditions, this can be a very attractive option in terms of resale. 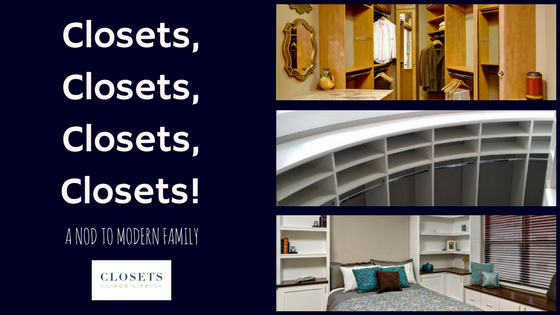 This is especially true if the existing closets in your master bedroom are reach-in, rather than walk-in, and your home has 4+ bedrooms. The project referenced in our client story above as being a big selling point of the home was actually an adjoining spare bedroom that we converted into a walk-in closet and laundry space. You can learn more about the specifics of this room-transforming walk-in closet project in a previous blog post. If you’re wondering about additional ways to add value to your home, consider storage improvements to other areas of your home. 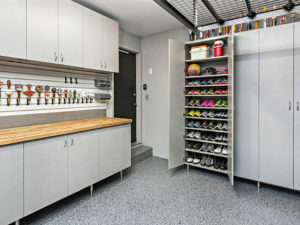 According to 10 Ways to Boost Your Home’s Resale Value on Houzz.com, adding built-in shelving or cabinets in halls, garages, home office, mudroom, laundry or anywhere will positively impact your home’s resale value and desirability. 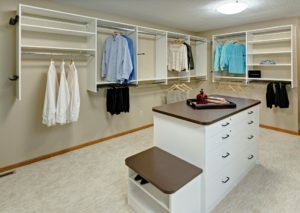 Want to learn how custom organization can transform your closet and increase your home’s resale value? 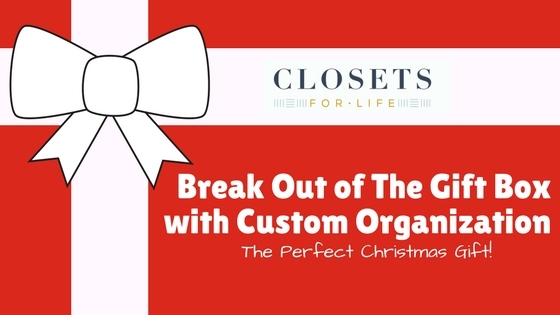 Click on the button below to request a FREE in-home consultation with Closets For Life. Based in Minneapolis & St. Paul, we design, manufacture and install custom organization systems for closets, garages, home offices, mud rooms, laundry rooms, kitchens, wine cellars and more. We’ll come out to your home to discuss your needs, measure your space and within two days of our visit, follow up with a 3D CAD design of our proposed layout. All free of charge! 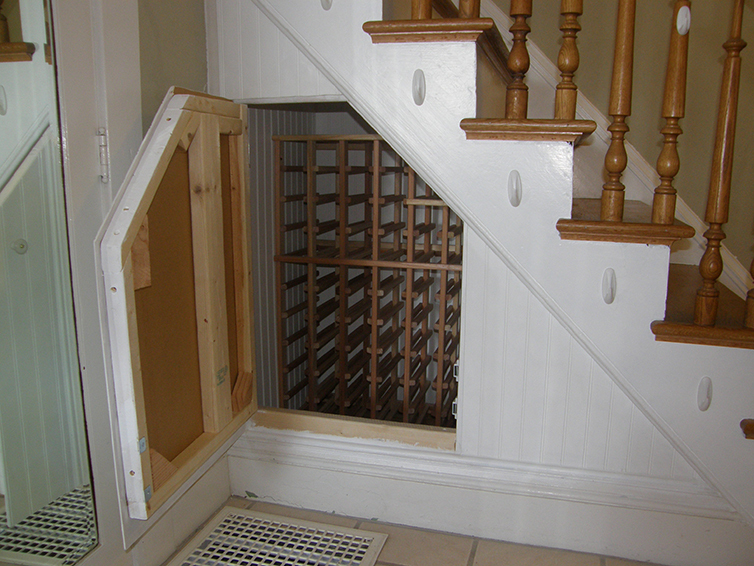 Once finalized, our custom designs are manufactured locally and typically installed in just two weeks. What do you have to lose? 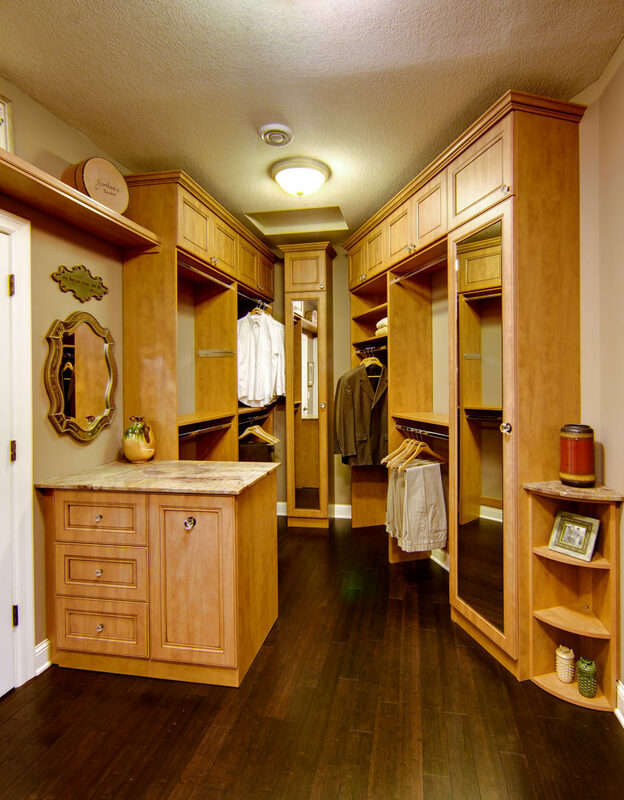 Considering a remodel of your walk-in closet? Or are you building a new home and wondering how to utilize your new closet space best? 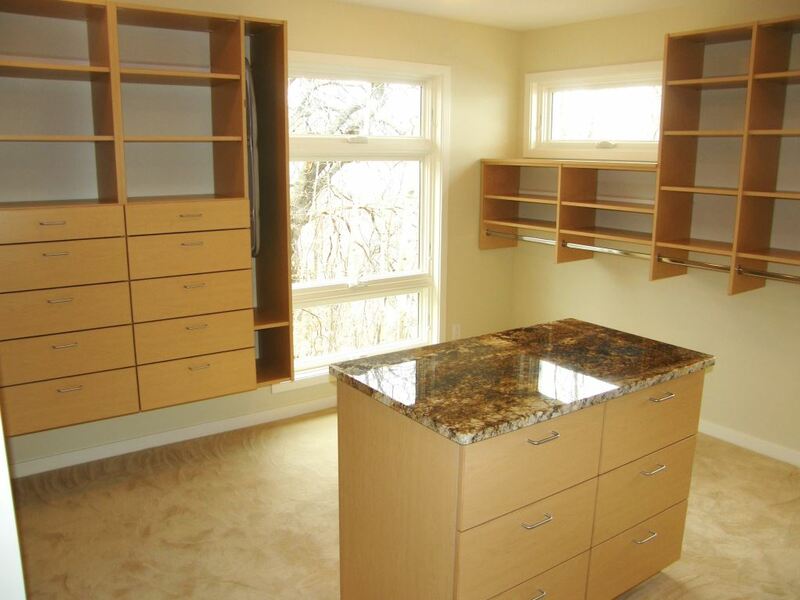 Clients frequently ask us, “Do I have enough space for a closet island?”. 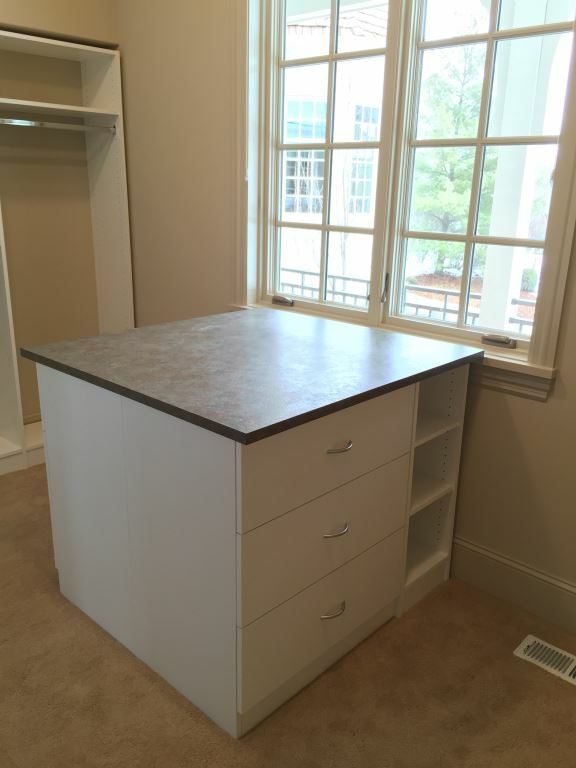 While space IS a significant consideration for a closet island, it’s not the only consideration. 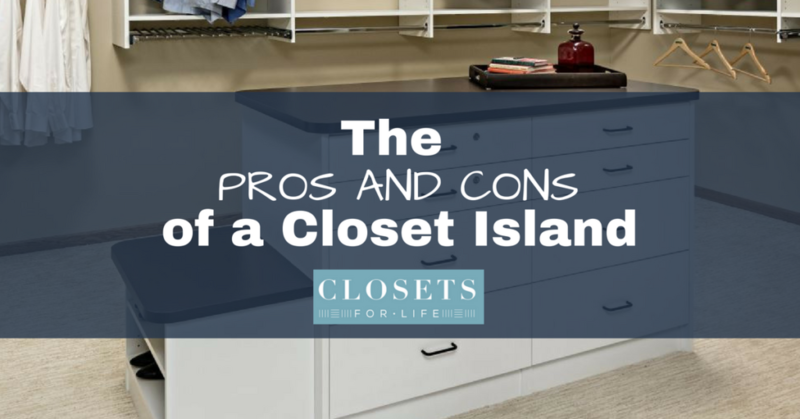 Assuming you have the room, here are some pros and cons of a closet island to help you decide whether it’s the right choice for your closet. Do you have more clothing and accessories than the average person? 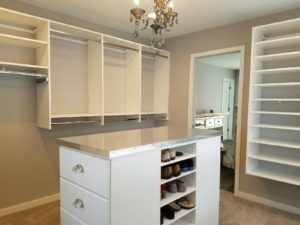 If your closet will be at max capacity even with a new closet system, then a closet island with built-in closet accessories like drawers, jewelry trays, shoe racks, pull out laundry hampers and other features can add significant storage. Do you travel often, like to wardrobe plan or prefer to fold your laundry in your bedroom? 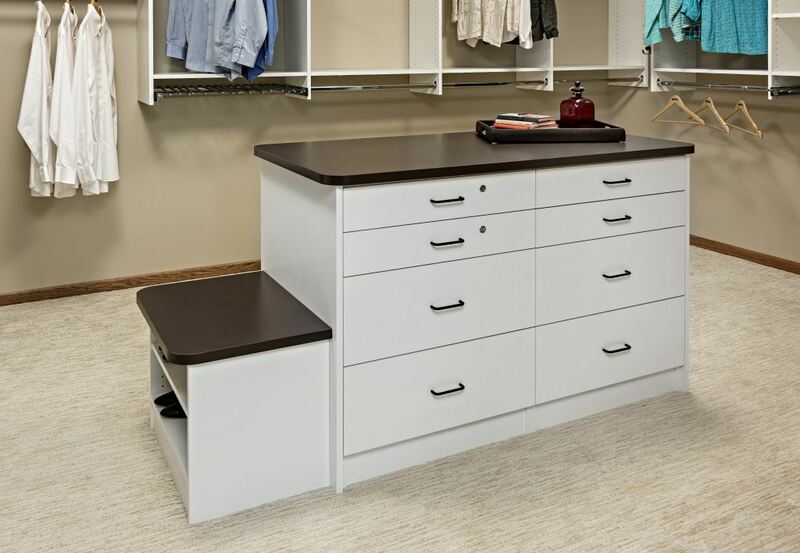 Closet islands provide a convenient work surface to layout an outfit, pack a suitcase or fold clothing. 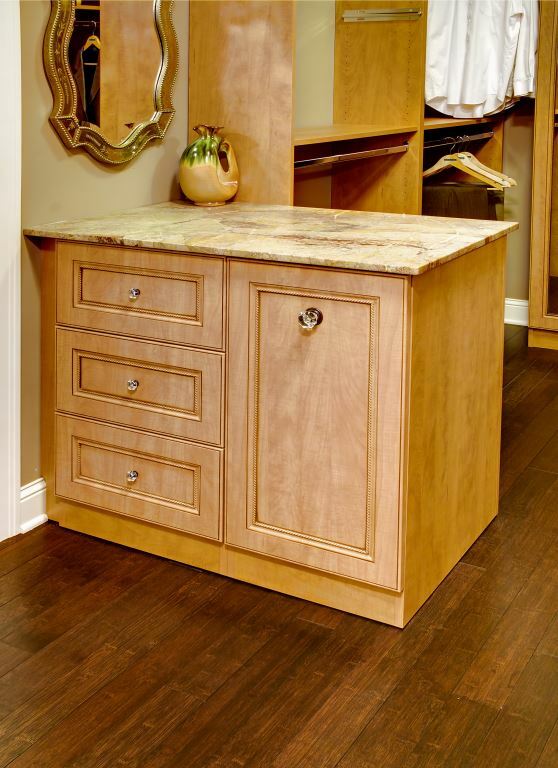 If you’d like your walk-in closet to feel as if it’s an extension of your bedroom, a closet island can help. 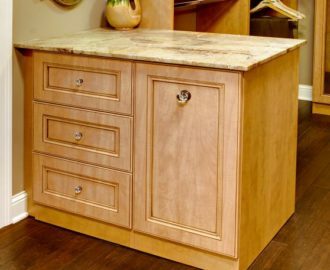 In addition to being able to use the counter surface for display of decorative items, finishing touches can be added to give your closet island a furniture-like feel. If your available floor space is tight already, then a closet island will only make the closet more cramped. 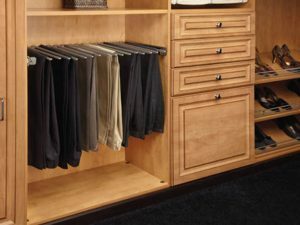 Even with ample floor space, consideration should be given to how the closet island will impact the flow and feel of your closet. 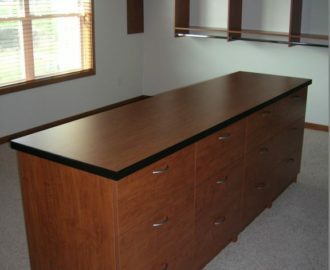 If you’re merely looking for a worksurface, consider a peninsula-type arrangement instead (like in the photo pictured to the right). You know yourself best. For some, the lure of having an oh-so-convenient surface to stack their clothes on is too tempting. 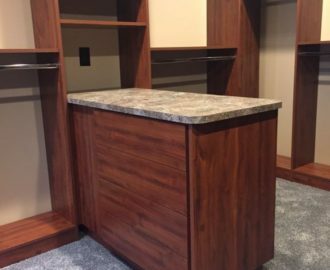 If your someone who struggles to keep their kitchen table free of clutter then you may want to think hard about adding a closet island. 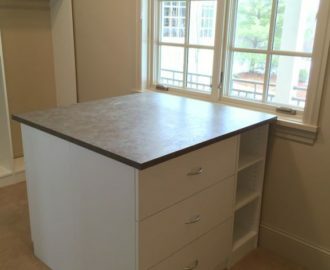 In this case, the absence of a work surface might be a good thing, forcing you to put your clothes away rather than pile them on your closet island. 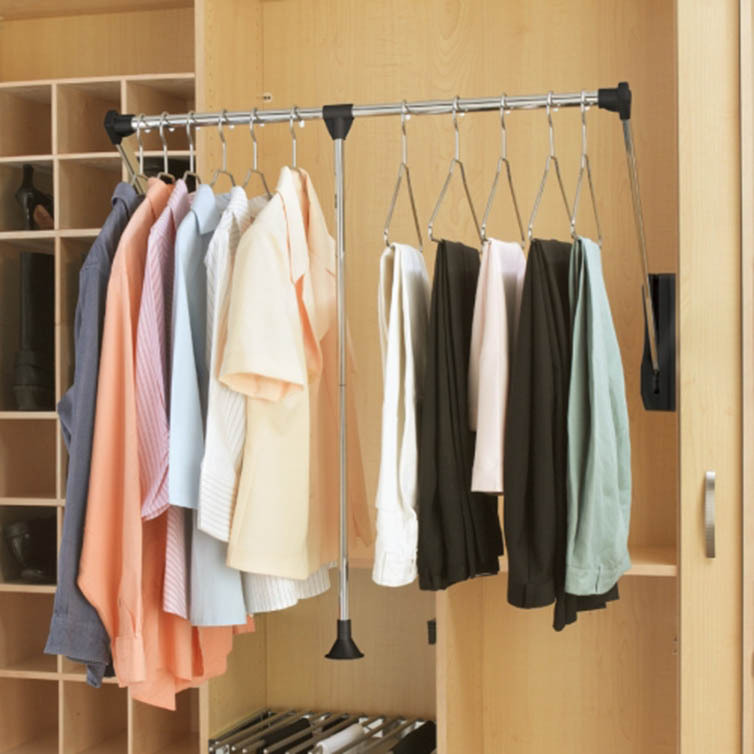 After all, the whole point of a closet system is to help your closet stay more organized! STILL NOT SURE? ENLIST HELP FROM THE PROS! Still undecided? Or want help envisioning a layout? 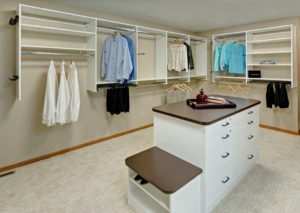 Contact Closets For Life for a FREE in-home consultation. 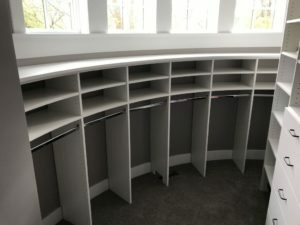 Based in Minneapolis & St. Paul, we’ve designed and installed thousands of custom closet systems of all shapes and sizes. 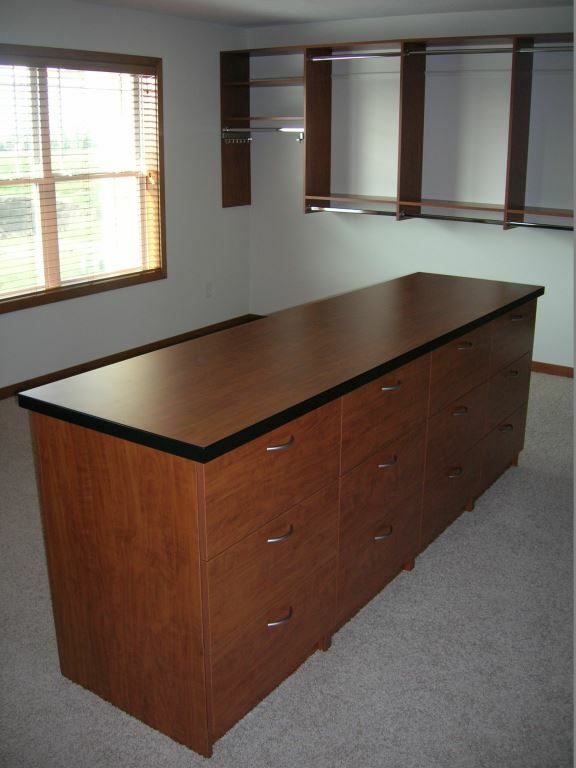 During our free consultation, we’ll come out to your home to measure your space and discuss your needs and wants. 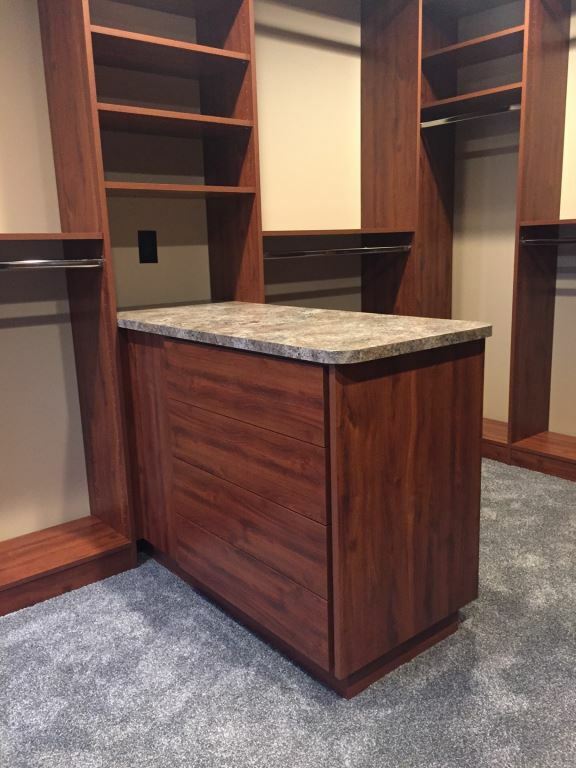 Within two days of our visit, we’ll follow up with a 3D CAD design of our proposed layout and once finalized, our custom closet systems are manufactured locally and typically installed in just two weeks. What do you have to lose? Contact us today! Closets For Life, a custom organization company based in Minneapolis & St. Paul, specializes in organization solutions for all areas of the home including closets, garages, home offices, mud rooms, laundry rooms, kitchens, wine cellars and more. A Spring Organizing Checklist: From Your Garage to Your Closet, it’s Time For a Fresh Start! As we write this, it is March in Minnesota and Mother Nature has recently delivered another 5” or so of snow. For those of you who don’t live in a winter climate and are blissfully unaware of the psyche required to ensure a long winter, let us enlighten you. It doesn’t matter how much snow is on the ground, come March, Minnesotans are getting spring fever! We possess an almost super-power like ability to move towards spring despite whatever is happening outside our windows. That is why, come March, you’ll see us Minnesotans blissfully walking around without jackets in 30 degree weather and gung-ho to organize and spring clean. After all, we want everything in order so that come warmer temps, we are ready to get outdoors and enjoy! So, for all you Minnesotans out there (and anyone else who just wants to get their house into shape), we’ve whipped up a Spring Organizing Checklist, designed to help you give your home a fresh start. Toss out worn gardening gloves, opened or expired seed packets and other gardening or lawn supplies you haven’t touched in the past year. Note – make sure you dispose of any lawn chemicals safely. Once the snow has melted, move seasonal items such as snow shovels, skis and snowboards into storage and bring out the garden shovels, rakes and other summer items. Lack storage for these items? 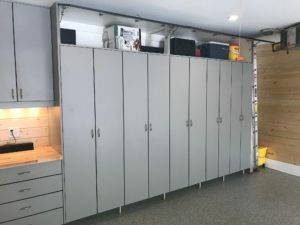 Consider installing an overhead storage rack, tall garage cabinets or other garage storage to keep these items tucked away when not in use. Put away any tools that may have been displaced over the long winter months. If you lack tool storage, consider adding a Gladiator GearTracks Garage Storage wall, which offers customized and flexible tool storage. Go through your closet and donate items you no longer wear. The end of a season is the perfect time to do this. If you haven’t worn an item all winter, get rid of it. Trust us when we say you won’t miss it next winter. Is your closet still over-crowded? Consider a custom closet system to maximize the storage potential of your closet. 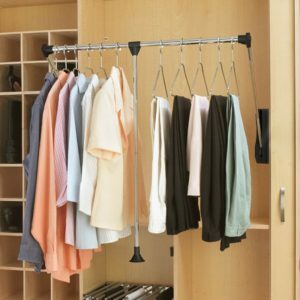 Move items off your floor and give your closet a good vacuum. 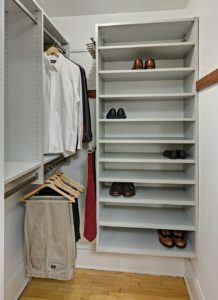 Too often, a closet floor becomes a collecting ground for items like shoes and boots which most of us usually opt to vacuum around. Spring is a great time to move those items out and, while you are at it, assess whether or not you should keep them. Re-sort your items. We tend to keep the items we wear most often in one area of our closet which can lead to the other items getting forgotten in the back. A great way to combat this is to mix up your wardrobe by sorting it a different way. Some ideas include sorting your clothing by color or by outfit or by type. Clean out your utensils. Move your most often used tools front and center and consider getting rid of those utensils you haven’t touched in over a year. Go through your spice rack and pantry. 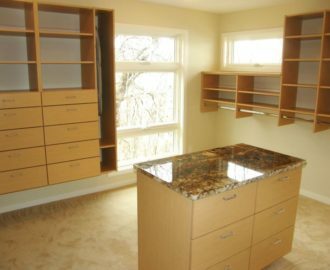 Wipe down shelves, get rid of any expired or old items and move often used items to the front. Get rid of excess cooking pans, bowls and plastic containers. 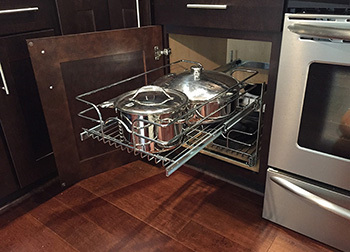 When we get a new baking sheet, pan or bowl, too many of us simply add the new one to the mix without getting rid of the item it is replacing. And don’t get us started on plastic containers! They seem to multiply like rabbits (although never the covers?). Get rid of any stained plastic containers or the ones without tops. Find it hard to reach the back of a cabinet? Consider installing pull out shelves to existing cabinets. They are a game-changer. Pull everything out and give your mudroom or front entry storage space a good cleaning. Before you put everything back in, look at each item to determine whether you’ve used it in the last 12 months and, if not, get rid of it. Re-assess your storage. Not enough room for all your items? Consider storing winter items in another location when not in use or consider adding baskets, hooks or custom mudroom or front entry closet storage to maximize the storage capacity of your space. Add a fresh coat of paint. The mudroom or front entry is the buffer between the outdoors and the rest of the home. It’s a battle ground and it shows. If a simple wipe-down of the walls won’t suffice, putting on a fresh coat of paint can help revitalize the space. Go through your paperwork and mail. Collect all random sheets of paper and mail from around your home. File anything you need to keep and recycle or shred the rest. Speaking of your files, spring is a great time to go through your files. Too often, drawers of files become overfilled with items we once thought important to keep but no longer need. Multi-purpose your office space. For many, a home office is combined with another area of the home like a living area or guest room. Consider how you can better integrate the two spaces. It might be as simple as adding some shelving and baskets to better hide away office items or adding a Wall Bed to free up space when the room is not being used as a guest room. Clean your computer or laptop. We love this tip we came across for cleaning your keyboard. Take a Post-it and fold it in half with the sticky side out. Run it between the keys of your keyboard to get rid of dust. 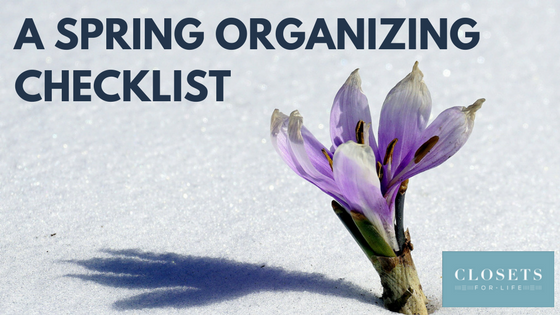 Gone through the steps of spring organizing and still feel overwhelmed? 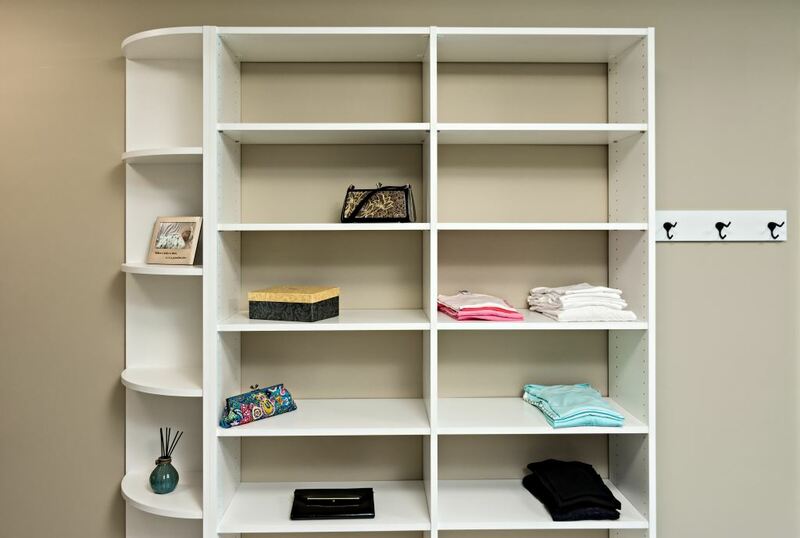 Consider adding custom organization to your home. Custom storage can triple the storage capacity of your space, increase your home’s value and provide support to help you stay organized. Closets For Life, a custom organization company serving Minneapolis & St. Paul and the surrounding communities, specializes in organization solutions for all areas of the home including closets, garages, home offices, laundry rooms, kitchens, wine cellars and more. 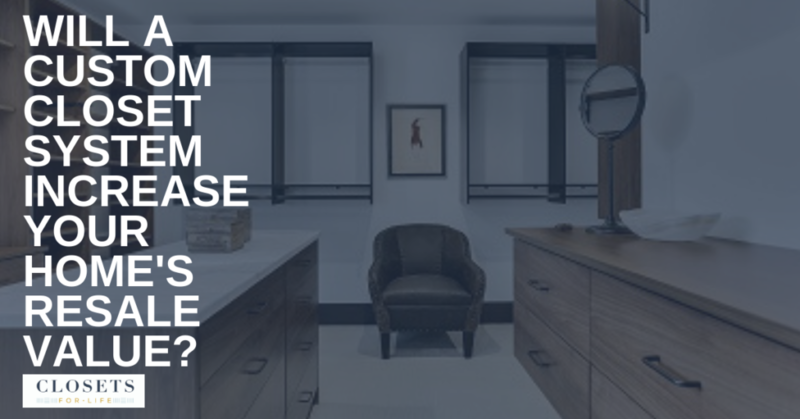 We offer free in-home consultations and follow up the consultation with a 3D design. What do you have to lose? Contact us today!